 About the TempleSant Gajanan Maharaj is a revered sage of Maharashtra. He stayed most of his life at Shegaon village in Maharashtra. Shegaon has a magnificent temple of Gajanan Maharaj. His devotees have constructed many such temples across Maharashtra. A small yet beautiful temple has also been constructed at Kanhor near Badlapur in Thane district of Maharashtra. 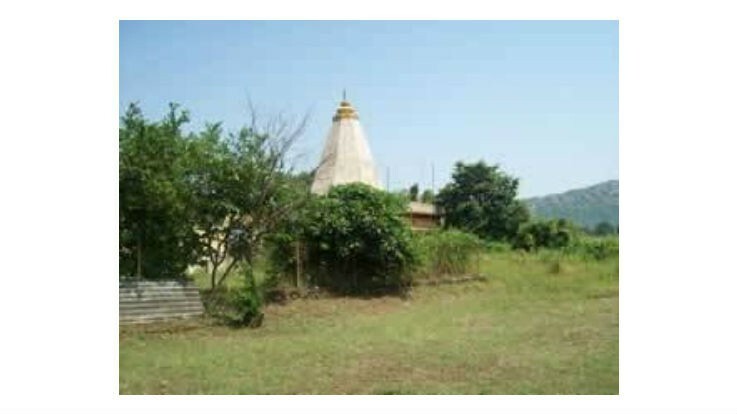 The temple is located on a small hill, in the outskirt of Badlapur village. The temple has an enchanting, serene beauty. The temple was constructed in 1985. It houses a beautiful white marble idol of Gajanan Maharaj along with the impression of the holy feet of Gajanan Maharaj. The main hall holds pujas, religious functions, bhajans and other auspicious functions. A fire pit is constructed inside the temple for performing Yagnas and Havan. A photo gallery displays the images of various events from the life of Gajanan Maharaj. The temple also has a small kitchen where Bhog and Prasad are prepared. About Gajanan MaharajGajanan Maharaj is a famous and revered Hindu Saint from Shegaon village of Buldhana district, Maharashtra. 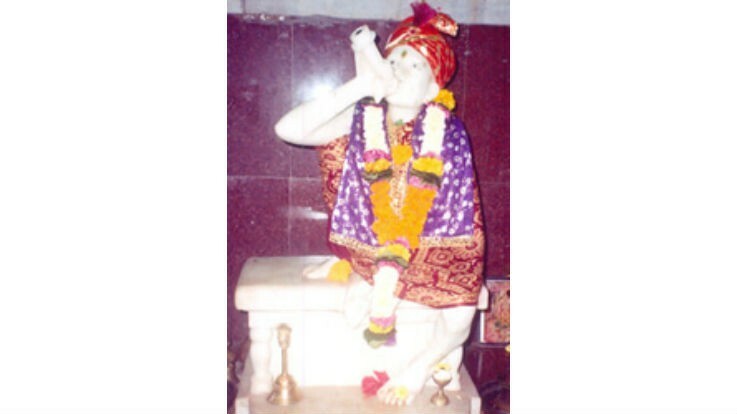 Gajanan Maharaj is worshipped as an incarnation of Lord Datta Guru. He appeared mysteriously in 1878 at Shegaon. He touched people with his knowledge, wisdom and thoughts. He preached simplicity, spirituality and was committed to the social cause as well as human welfare. Gajanan Maharaj took Maha Samadhi on 8th September 1910 at Shegaon. Gajanan Maharaj has over 30 million followers across the country. Shri Gajanan Maharaj was an avadhuta. His life was his teachings. Through his activities, he spread spirituality, love and wisdom. Temple History and Temple LegendShri Gajanan Maharaj Seva Sansthan was established in the year 1981. Shri Vitthal Raut donated his land for the construction of the temple. Once Shri Gajanan Maharaj appeared in the dream of Shripadrao Kulkarni, an ardent devotee of Shri Gajanan Maharaj and instructed him to construct a temple. Shri Kulkarni shared his dream with his friend. Both of them started searching for the land to build a temple. It was then Shri Vitthal Raut who donated his land for the construction of the temple. Locals of Kanhor participated in temple construction ceremony. A small miracle happened during the construction of the temple. An "Audumbar" tree grew up at the site of the temple. Since 1981, Prakat Din Utsav is celebrated under this tree. Festivals and CelebrationsShri Gajanan Maharaj Prakat Din Utsav is observed in Magh month. It is celebrated as an appearance anniversary of Gajanan Maharaj. The festival is observed every year on Magh Krishna Paksha Saptami Tithi i.e. on the seventh day during the waning phase of moon in Magh. By Road: Gajanan Maharaj Temple can be accessed from Badlapur. Buses, Auto rickshaws and other private vehicles are easily available to reach the temple. By Air: The closest airport is located at Mumbai which is 70 km away from Badlapur. By Train: Badlapur is the closest railway head which is 7 km away from the temple.